Plastics are cheap, lightweight, convenient, and long-lasting, which make them universally popular. However, plastics are now trashing the planet because of these very same reasons. Chemists at Colorado State University have now devised an ‘infinitely’ recyclable polymer that shows practical properties of plastics. The study has been reported in the Science journal. With this latest breakthrough, Colorado State University (CSU) researchers have announced another important step toward sustainable, waste-free materials that could compete with traditional plastics in the future. The team, headed by Eugene Chen, a professor in the Department of Chemistry, has identified a polymer that has most of the same properties found in plastics, for example, strength, durability, heat resistance, and lightweight. 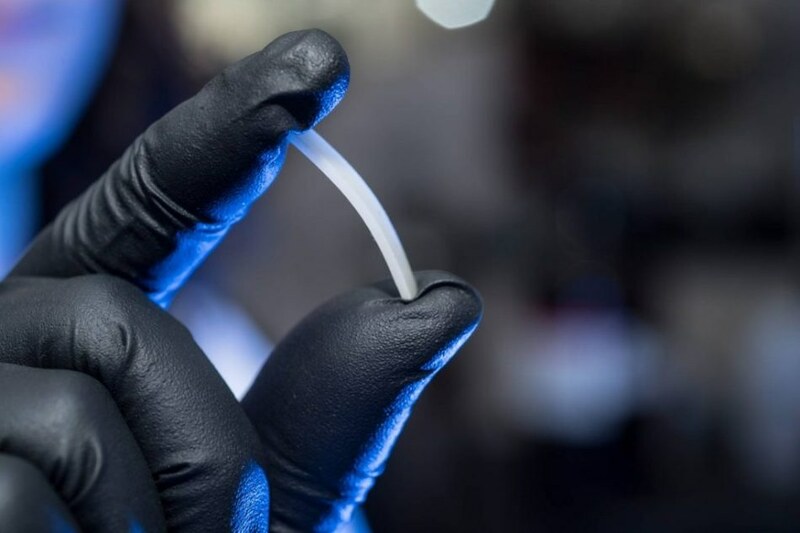 However, unlike standard petroleum plastics, the novel polymer can be transformed back to its original small-molecule state to enable complete recyclability of chemicals. This can be achieved without using intensive laboratory procedures or harmful chemical substances. Polymers are a broad group of materials that are defined by long chains of repeating, chemically bonded molecular units known as monomers. Today, synthetic polymers include plastics, ceramics, fibers, coatings, rubbers, and a host of other commercial products. The research is based on an earlier generation of a chemically recyclable polymer which was first demonstrated by Chen’s lab in 2015. Extremely cold conditions are required to fabricate the older version of polymer which would have reduced its industrial potential. Also, the previous polymer had low molecular weight and heat resistance, and, while plastic-like, was comparatively soft. But according to Chen, the significant knowledge obtained from that analysis was very useful. It gave way to a design principle for producing future-generation polymers that are chemically recyclable and also possess strong practical properties. Thus, the problems associated with the first-generation material are resolved by the new, much-improved polymer structure. This monomer can be easily polymerized under industrially realistic, environmentally friendly conditions—solvent-free at room temperature, with only a trace amount of catalyst and just a few minutes of reaction time. The material, thus obtained, exhibits a high molecular weight, crystallinity, thermal stability, as well as mechanical properties that perform very similar to a plastic. Under mild laboratory conditions, the polymer can also be recycled back to its original, monomeric state with the help of a catalyst. The monomer does not require additional purification and can be re-polymerized easily, thus establishing a circular materials life cycle, as referred by Chen. So far, the novel polymer technology has only been shown at the academic lab scale, Chen informed. However, more work needs to be done to perfect the patent-pending polymer and monomer production processes invented by Chen and colleagues. CSU Ventures has awarded a seed grant, which is allowing the chemists to optimize their monomer synthesis process and devise new and more cost-effective methods to develop such polymers. In addition, the chemists are working on scalability problems on their monomer-polymer-monomer recycling setup and also exploring innovative chemical structures for recyclable materials that are even better. CSU research scientist Jian-Bo Zhu is the paper’s first author, and graduate students Eli Watson and Jing Tang are the co-authors.